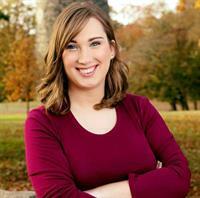 Sarah McBride, an internationally known activist for LGBTQ+ rights who serves as the national press secretary for the Human Rights Campaign, has been elected to the Delaware College of Art and Design Board of Trustees. She will serve a term through 2021. McBride earned a bachelor’s degree from American University, where she served as student body president and made national headlines when she came out as a transgender woman in the institution’s student newspaper at the end of her presidency. The Wilmington native received her high school diploma from Cab Calloway School of the Arts, where DCAD recently launched a dual-credit program. In addition to her role with DCAD, McBride is a member of the Equality Delaware Board of Directors. With that organization, she helped lead the effort to increase protections under Delaware’s nondiscrimination and hate-crimes laws to cover gender identity and expression. Also in Delaware, McBride worked for both Gov. Jack Markell and Attorney General Beau Biden. In Washington, D.C., she interned at the White House and then worked at the Center for American Progress before joining the staff of the Human Rights Campaign. At HRC, she serves as a spokesperson for the largest lesbian, gay, bisexual, transgender and queer civil rights organization in the United States. The HRC’s three million members, supporters and employees envision a world where LGBTQ+ people are ensured basic equal rights; are safe to be open and honest about themselves at home, in the workplace and throughout every community; and are embraced as full members of society. McBride became the first openly transgender person to address a major party political convention when she spoke at the Democratic National Convention in Philadelphia in 2016. She published a memoir, “Tomorrow Will Be Different: Love, Loss and the Fight for Trans Equality,” earlier this year. For more information, contact Susan Coulby, DCAD communications director, at 302-622-8000, ext. 717, or scoulby@dcad.edu.